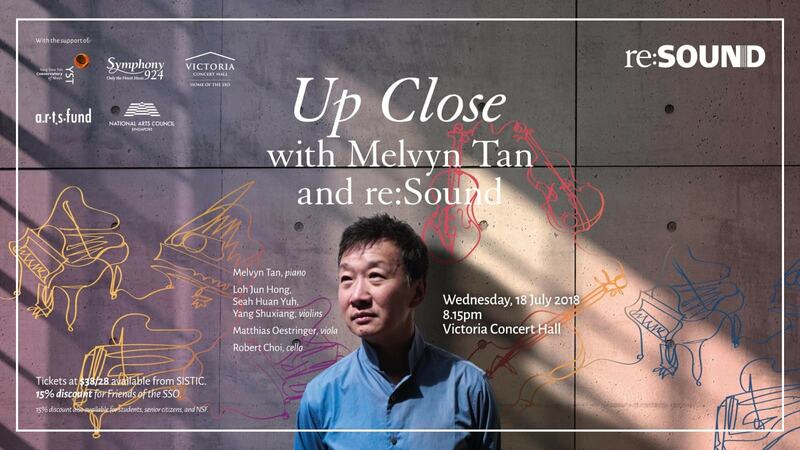 Click here to sign up for a 7pm pre-concert Guided Tour of the Victoria Concert Hall! In its most cosy presentation yet, the musicians of re:Sound bring you music written to be played among friends in the close quarters of the drawing room. 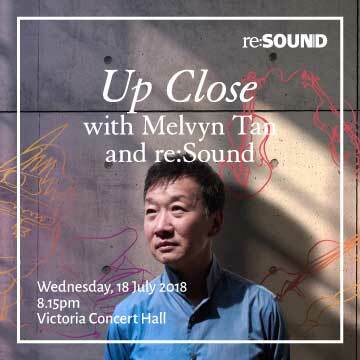 They partner with world-renowned Singapore-born pianist Melvyn Tan in an evening of works by Beethoven, Schubert and Shostakovich. Violinist Loh Jun Hong joins Melvyn Tan in Beethoven’s Violin Sonata No. 8 in G Major, Op. 30., a work whose optimism and levity belies the composer’s inner struggle and eventual acceptance of his impending deafness. Schubert’s Adagio e Rondo Concertante for piano quartet is a perfect example of “Hausmusik” (music for the home), destined to liven up an evening with friends or family. Composed for accomplished cellist and pianist Heinrich Grob, it is an unabashed two movement showpiece for the piano. Shostakovich’s Piano Quintet in G Minor began as sketches for his second string quartet, before the composer decided to write a part for himself in order to have a chance to perform and travel to see the world. It was highly acclaimed, and in 1941 the Quintet was awarded a Stalin Prize – the Soviet Union’s highest award for the arts – and to date remains one of his most popular chamber music works.